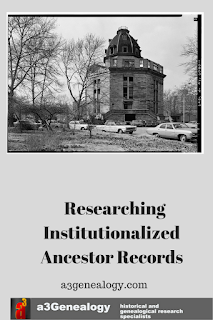 Family researchers will inevitably uncover an institutionalized ancestor battling insanity, feeble-mindedness, mentally disabled children, or other mental illnesses.. 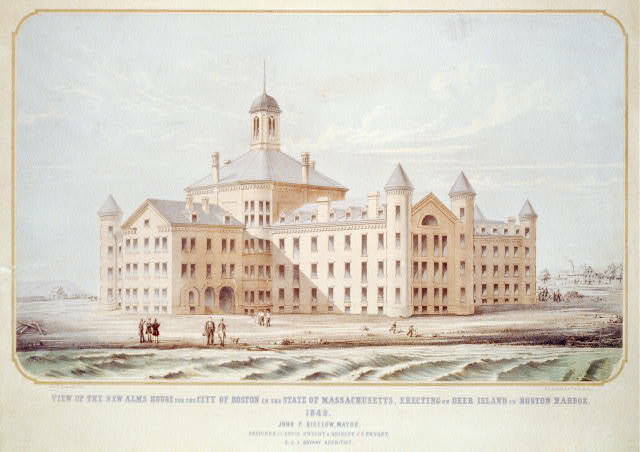 Although there were twenty United States mental asylums in existence in 1850, it was most common for almshouses to care for those with mental and physical disabilities as well as for the aging. Almshouses, often referenced as “poor houses,” notably boarded old, distressed, ill, and insane citizens prior to 1880. By 1890 there were 162 mental hospitals. Every state has statues specifying the distribution, and release of records of the institutionalized and mentally ill. 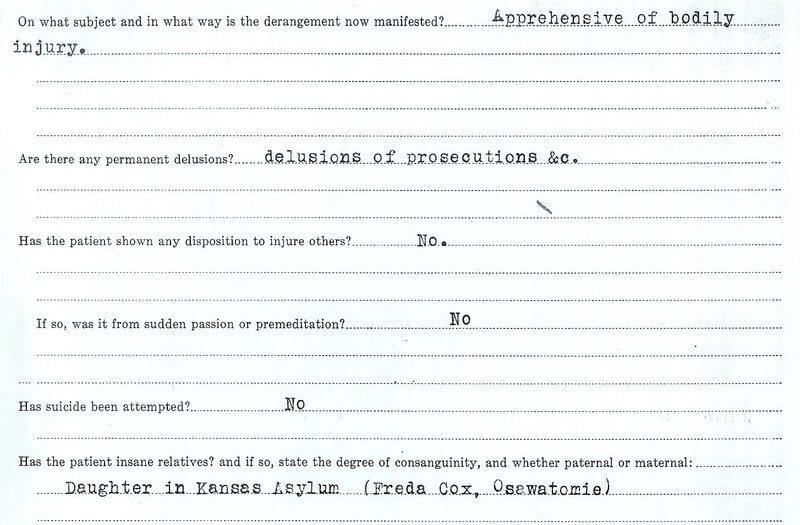 Prior to State Statutes, some state hospitals like Osawatomie, Kansas discarded the patients’ original files leaving perhaps just an index to past patients. 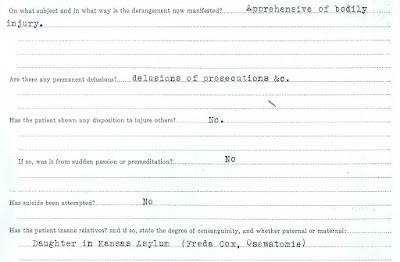 The Kansas Statute 65-5603, specifies the information that can be released for family history research. "Examples include: dates of birth and death, dates of stay, names and addresses of family members. Medical information, including the DIAGNOSIS, is not open." When hospital records are not available, recreating an ancestors’ medical history is still possible. Gathering genealogical data using death certificates, military pension records, available probate records, or medical records submitted and filed with court cases, cemetery records, and local newspapers often yields sufficient data to understanding your ancestor’s medical history. Contrary to restricted states’ statues, many open-state records are accessible using digitized databases. For example the New York, Census of Inmates in Almshouses and Poorhouses from 1830-1920 may be retrieved from ancestry.com. 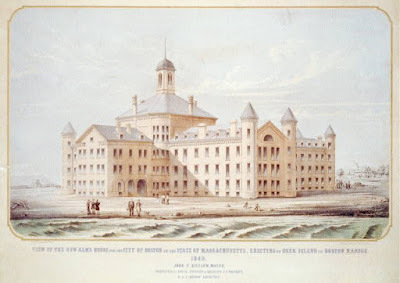 Crime, Pauperism and Benevolence report created in 1890 by the Bureau of Justice Statistics identified the mental hospitals that housed part of the 91,997 USA insane population. Database Catalog search using keywords “lunatic” “insane”, “blind” etc. 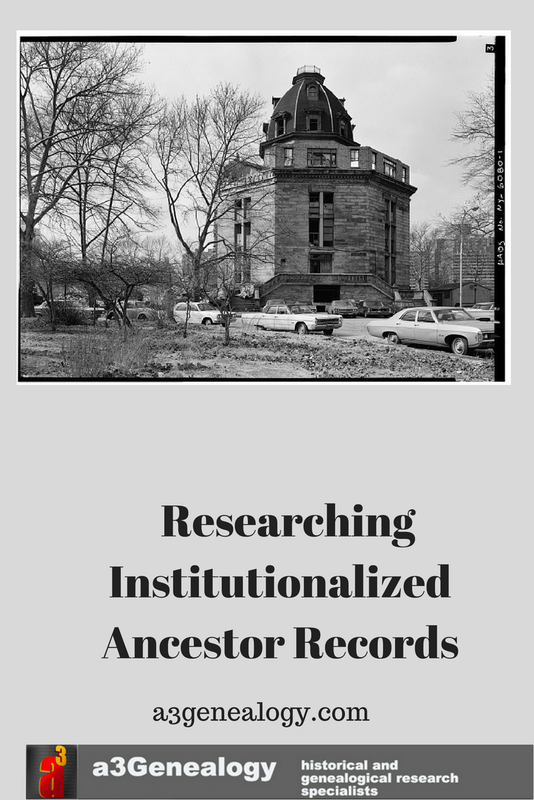 on familysearch.org will also provide research resources for institutionalized patients. State Archives and Historical Society Records. 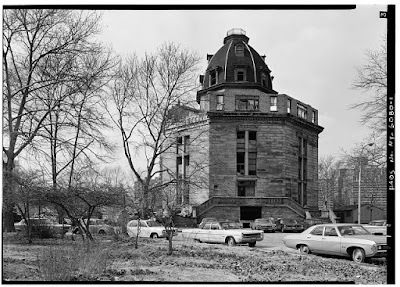 Practically each state has collections or information on area asylums and almshouses. Court Records. Divorce records, guardian records, and agreements for care by a state or facility may be located in these records. Will and Probate Records. Often names a guardian or person to care for the mentally (and physically) disabled. Military Pension Records. Often hold medical records for mental health patients. Cemetery Records Across the nation, patients were buried on the property of asylums, or at neighboring cemeteries. Death Certificates. Although lunacy was rarely noted, cemeteries, institutions and almshouses were named as resident or death place. Unearthing African American medical history records may be more challenging. Admitting ‘free coloreds’ to state poorhouses and insane asylums prior to the Civil War was not widespread but these records may be uncovered. Slave names were rarely provided, but ailing slaves (deaf, idiotic, etc) were identified by age, gender, and color. For more information, visit the Museum of disAbility History website. Women were disproportionately committed to the State Hospital by disgruntled husbands. Insanity was often the argument used to dissolve a marriage. Researchers will discover cases of women being committed to asylums for alcoholism, dementia, “moral insanity” such as infidelity, contradicting a spouse or being too opinionated.